My recent suspension, and eventual discovery of this community has further cemented my view that selling thru these big platforms is a terminal experience. About a year ago I began building my own site, and a construction project on my house, as well as a few other like things got in the way of completion. This banning experience cemented my view that relying on these platforms should not be more than a stepping stone. My site is finished, and most of the products are added. I'm going at it alone, and hopefully can build enough sales to walk away from these corporations for good. You are, and will always be at their mercy. It reminds me of a documentary I saw once of people in Brazil mining gold, up to their waists in muddy water all day, living to feed their work to an overlord. You're just their peon. So... let's share thoughts and experiences of your efforts in going it alone commerce. What works, what are pitfalls, and what can we do to help each other gain independence from these platforms that can destroy our livelihoods at a moments notice. For me, to start, avoid the turnkey solutions that take a cut of your sales, and don't let you use your own payment providers. Last edited by idds; 09-20-2016 at 08:49 PM. 90% of the people I have met that went selling on their own websites failed. Depends on product, etc. None the less if you have been and eBay or Amazon seller most the successful website sellers have used that to give a card to buyers for future purchases at lower prices. Best of luck with what you are doing but eBay and Amazon are king for most products. The problem of course is that "going it alone" with your own website isnt really going it alone. Unless we find a way of developing our own payment gateway business at the same time.....because whatever you do you need a way to receive funds and as I have discovered not offering paypal immediately reduces income by 50% at least. I have discovered not offering paypal immediately reduces income by 50% at least. I was asked to remove PP from one of my website previously. Made no difference to sales. I Have been accepting PP again now on the same website for nearly 3 weeks and whilst plenty of people are paying via PP, sales remain the same. If people want your product they will pay using whatever means are available in my opinion. Im not sure why you would risk adding it back on then, because trust me I sure as hell wouldnt add it back if it wasnt costing me sales and made no difference whether I had Paypal or not. :( I`d love to hook paypal off. But its a trust issue, customers trust Paypal and therefore for us certainly it is a bonus. Dont be surprised if paypal burn you again soon if your using the same domain- I have had that happen several times. Because I only ever used that PP for my website so I have nothing to lose if it does go to sh*t.
You are assuming I added it back on, it is not that simple. New ecommerce platform, no tokens involved etc.... new email address was all it took. I can understand maintaining your own ecommerce website while also maintaining accounts on EB/AZ. Putting all of your business on a brand new website all of a sudden without any other online presence sounds like business suicide to me though. Getting traffic is difficult. The most common way I've noticed is for EB/AZ sellers to include links to their own website in orders. How do you plan to get traffic to your site, if you are no longer filling any orders or communicating with any customers? In all honesty, you sound like a typical angry customer who is angry at something and can't see past it. Don't throw the baby out with bath water! Just accept ebay and PP for what they are and work around it. Both websites/services are just big corporations and they want money- Don't take it personally and just use the loopholes and make it all work for you. Instead of being butthurt, try to be a parasite that behefits from its host body- Simple as. Work around their problems, avoid mistakes and try not to take everything personally- These companies did not get big because they are protecting the little fish like yourself. They are big, big companies and they just do their own thing. Use them to your advantage and build your own empire- Its all about looking at what you are NOT happy with, and how you can learn from it and perhaps find better solutions with your own ideas/websites/online business. Learn from everywhere and everybody, and then put it to good use and make it work for YOU. With the same domain or different site? if its different then hopefully all will go well. If its the same site, are you near the eu limit? have you passed the eu limit- this I would be certainly interested to know for sure. This is an interesting experiment. Looking forward to hearing more about it. I tend to disagree. 7 to 9 years ago this was true, but there are more channels out there that you have control over than ever before to drive traffic to your site. Advertising is a mainstay, and seems to get ignored with this idea that EB/AZ are somehow "free". You're paying a premium, and at the same time are being compared to other offers for the same product. This is new territory for me, but my first pass on it is to take 50% of the fees I am paying today and using it for direct advertising. If I get a reasonable metric from it, say 25% of eqiv revenue, then I can map a trajectory to that which get me to 1:1, or a break even point for revenue between the different platforms. I'll only benefit if that ratio starts to favor me. It's a task, for sure. But getting kicked around like this gives me the motivation. I'm not saying any different. I'm not butthurt. And I'm not walking away from them (for now). What I am saying is that a fruitful sales channel that you have complete control over beats these corporations that can push you around thru raised fees, bans, placement, search results manipulation, etc. Corporations are a big joke most of them talk about helping there clients expand and be fruitfull, bullshake! It's the same domain. My old website used a token to link the PP account to my website. Since I was asked to remove PP from my site I've still been accepting payments via paypal for off-website sales using an email connected to that domain. For about 2 years. My new platform just uses an email address to link the 2 so I set up a new email with an email provider (not on my domain) and added that within the ecommerce platform to link to PP express checkout. I'm hoping that is all they see. I surpassed the EU limit on this PP years ago. If it doesn't work out, I learn't a lesson and so will everyone on here! Key is getting people to join your mail list (auto-responder) than email them at least weekly. Most sites offer percentage off or x-dollars off to gt on list. Same thing restaurants do by giving you free item. They than email very often. So if got 100,000 people on list and 1% buy after each email (doubt be that high). Now see why they bribe you to join. Amazon best at this method. They see what you like than customize the offers automatically. I would suggest using ebay/amazon to build your client base long time before going cold turkey. It not a case of build it they will come. It's a case where you need be one lucky 99.99% that make it and that takes alot of luck, work, money, and using ebay/amazon will increase odds. 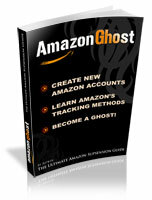 I seen real big companies use ebay/amazon to promote own site soit must be working. The great thing about having my own site is the ability to create custom orders and have it look professional, it avoids the paypal invoice, gives users payment choice, and the ability to re-order from that private listing without having to ask again. Just an update since I launched my site, I have been impressed with it's performance so far. I have had 2 weeks straight now of at least 1 sale every day, which for such a young and hardly advertised site, exceeds my expectations. I should have done this a long, long time ago. Which ways are you advertising your website? If you'd prefer not to say publicly please disregard this message. Adwords mainly. And using the name on all my sales via packing slips. Also offering a discount for mailing list subscriptions. That's it at the moment. I'm up to 26 days straight with at least 1 sale. It's being well received. I think I'm a victim of the belief that Amazon, Ebay etc can't be competed with. This site is showing that it's a false assertion. I've even had 2 customers place phone orders specifically tell me that they wanted to support small businesses and not buy thru these mass portals. Any progress with sales via ecommerce?